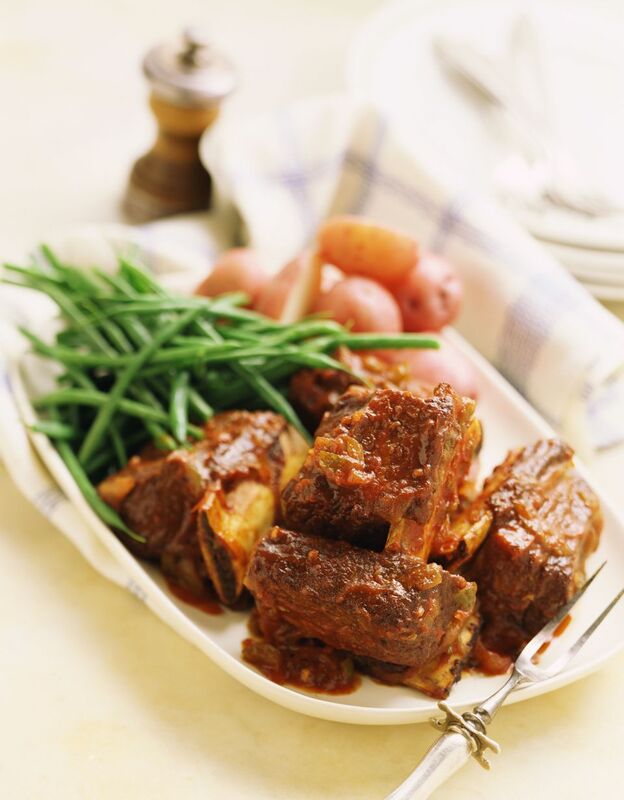 Short ribs are braised in the oven with carrots and potatoes, along with other vegetables. It's an easy and delicious dish. Dredge meat with flour; season with salt and pepper. Heat the oil or shortening in a Dutch oven over high heat; brown short ribs on all sides. Add beef broth to the pot. Cover and bake for 2 hours, or until very tender, basting frequently with pan liquid. Add the carrots, potatoes, onions, and green beans and continue cooking for 45 minutes to 1 hour, or until the vegetables are tender. Transfer the meat to a platter. Arrange vegetables around meat.